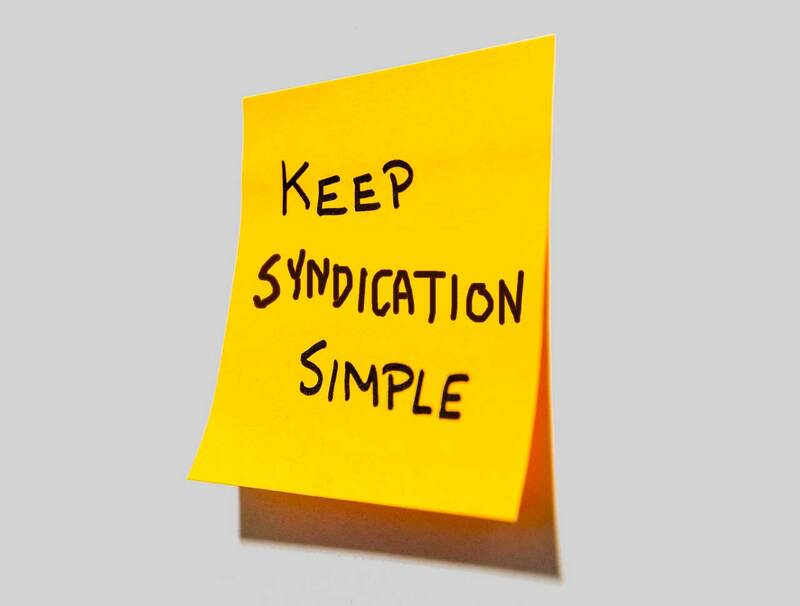 It should be simple right, if you believe in RSS and that it stands for Really Simple Syndication. Going back to DS106 in 2011 and onward to maybe 12 projects and my own teaching (currently for NetNarr), the blog syndication hub in WordPress has been at the center of a lot of work. I can set one up in a flash. Yet… The managing of the Feed WordPress plugin involves ongoing wonkiness, odd error messages that come and go, wrestling with featured images, and often feeds that Just Don’t Work (the most reliable fix is washing them through FeedBurner). And while I have written up a pretty extensive guide that a number of intrepid people have waded through, well, it’s not for everyone. I’ve been thinking of a different approach, that means not building a web site, but having participants rig up their own syndication, using an old fashioned RSS Reader (ask your grandpa what they were). I started doing this last year in an MA Graduate Research seminar I led for a handful of students at Kean University. The participants did blog their progress and there is the usual Hub site, it dawned on me that a more effective approach is asking the students to build their own syndication platform in a Reader (for them I had recommend Feedly, not that it was any better or worse than others). One is a matter of efficiency. To check new content in a blog hub, means remembering to visit the site and try to remember what you have not read before. Compare this to scanning your own Feed Reader, where you can not only see instantly what is new (bold title), but you can read/scan the content without having to click away to another site. The RSS Reader view of syndicated blogs. That’s why, I will repeat until I get put away in the Old EdTech Folks Home, that this is The Indispensable Digital Research Tool I can Say, Without Lying, Saves Time. You will never convince me otherwise. The other part is, you can then encourage your students to also build their own set of feeds to monitor, a research tool I’d want students to be using. For those that make the flailing claim that Twitter is their RSS Reader Replacement would you suggest your students do the same? Really? So what does it take? Are you ready for another acronym? OPML. Who cares what it stands for? It’s just a way of packaging a set of RSS Feeds into one file, it is a collection of blog feeds. So maybe you have students send you their blog URLs by email, or have them fill out some kind of Google form. You don’t even need to ask them to try and figure out their RSS Feeds (you just need a wee bit of savvy to find a feed URL, that’s for another post). Let WordPress do it. Look inside your site for the Links editor, add your Blog Feeds to it as new links (delete any of the default ones WordPress puts in there). If you tack on wp-links.opml to your blog URL, wowza you get an OPML file. Heck, someone actually wrote a blog post about this. Okay, I am going quickly now, and if you need more help, ask. But once you have that OPML file, you just need to get it to your students, tell them how to set up a Feed Reader, and how to import the file. Believe me, the first run through may feel not so simple, but it’s much much less than doing all the FeedWordPress shenanigans. What if the list of blogs change, you ask? For the most part, if you import an updated OPML file, it only adds one not currently in the list. A more elegant approach might be to have students use Inoreader because it has a feature for dynamic OPML subscriptions. This means you put the OPML file on a web server somewhere, and have students use that as a way to set up their subscriptions. 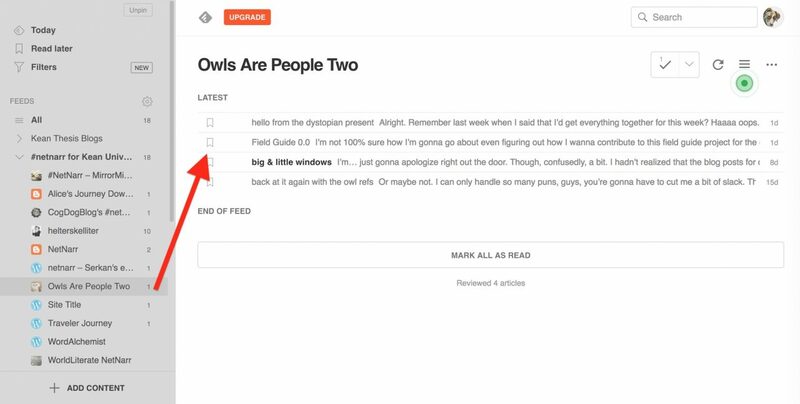 If you every update the file, replace it, and everyone subscribed to the feeds will have their subscriptions updated. I set up a Feed Reader for any group of feeds in a class I am teaching or a project using the approach. It’s the only sane way to make sure I can scan when students have new posts. Looking at the collection for all my student feeds, I can quickly see what is new, that I have not read yet. Hey! It’s like email! 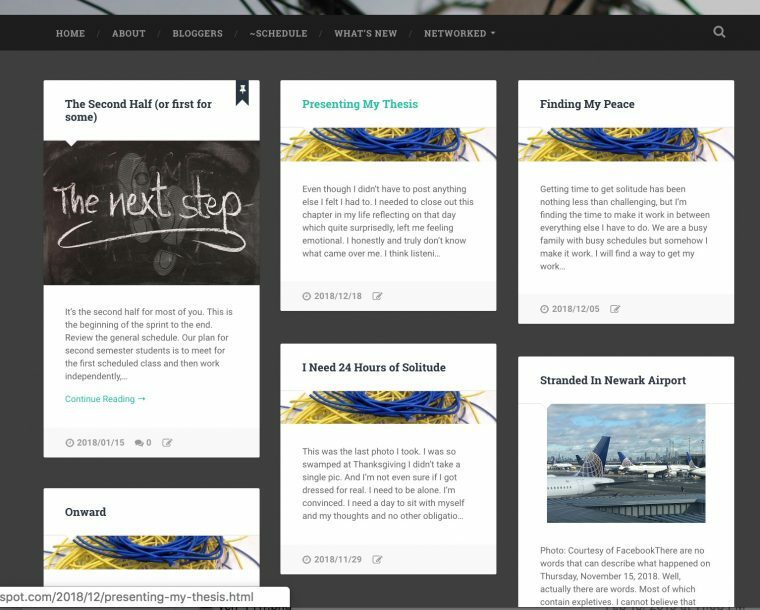 And I can also look at an individual blog to see one student’s work. If you rely on manually checking students blogs… well have fun with that. 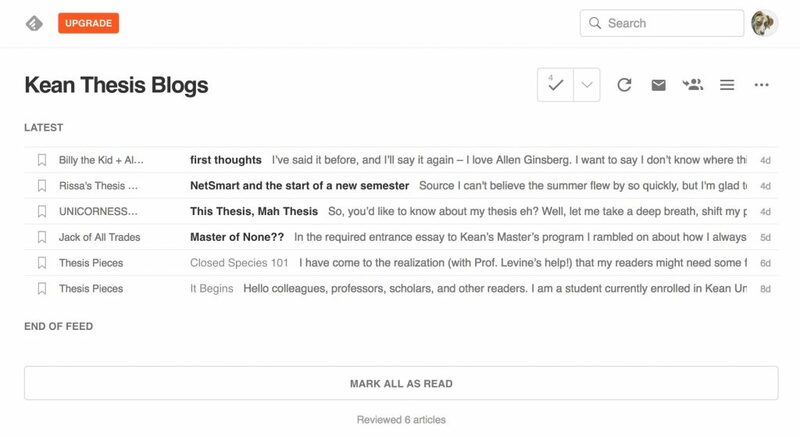 I can also get a collection of RSS Feeds for comment activity on my student blogs, woah Neo! That’s right, at a glance, I can scan at the amount and content of comments on my student’s blogs. Getting the comment RSS feed URL is not too complex, for a WordPress site such as http://blog.sillycat.net/ the comments feed is http://blog.sillycat.net/comments/feed/. The feed will be for all comments on a blog, I don’t think you can peel it back for category, tag. For one hosted on Blogger, say https://sillycatfoodlover.blogspot.com/ the comments feed is https://sillycatfoodlover.blogspot.com/feeds/comments/default?alt=rss. Don’t get me wrong, there is still value in having the syndication hub site; it makes for a nice way to show the overall activity, and also to have an archive of the items published. But in terms of processing the flow of information, an RSS Reader is much better at this, a worthy skill for students to learn (even if so called experts keep writing the eulogies for RSS), and it can also be done distributed; a web site and hub are not even needed. What’s more important is the writing and sharing that is done. It does seem that many people making course hubs really just want an RSS reader (either for them or their students). What I find difficult is trying to convince them to take on two new tools (WordPress and a reader). FeedWP always made really good sense to me if you wanted to archive the aggregated content someplace centrally. Otherwise it is a ton of “ongoing wonkiness, odd error messages that come and go, wrestling with featured images, and often feeds that Just Don’t Work.” It also appears to be a bit taxing on resources if you run enough of installs on enough sites. On the larger scale of things, I’ve had a similar refrain for the last however many years — use social bookmarking, use an rss reader, and blog. Nothing original. Nothing new, nothing really difficult, but somehow a long, long road. By the way, it’s been around a long time, but NetVibes works as a basic web based reader/dashboard. I logged in and found stuff I added like 8 years ago. You can import feeds via OMPL. When the 9x9x25 challenge started I was worried I wouldn’t really get engaged with the community enough because going to that site wasn’t part of my regular work flow. That happens to be one of the reasons I drop out of so many different online activities (e.g. MOOCs) as well. Thankfully, it dawned on me early enough that it was just a feed, so I added it to feedly and that worked awesome. I haven’t branched into setting up a reader for a class in a while, but will be bookmarking this post to come back to when it comes up again. Wondering if Inoreader’s ability to subscribe to a feed makes the process even simpler, especially when using WordPress. Then when you update your links on your blog, these are automatically added to Inoreader via the subscribed OPML. Another OPML manager/creator is http://feedbase.io a Dave Winer production so good pedigree. I’ve only ran a couple of small courses over here aggregating. On one, before we had an aggregator on Glow Blogs I just used a folder in inoreader, that can produce and aggregated RSS feed which I just put on the sidebar of the mothership blog. Interesting article and comments. I like your idea, cogdog, of subscribing to an OPML class feed: it does help students follow the publications, but to have a hub where all posts are visible and formatted is another story. Probably a mix of the two strategies works. I wonder how the other plugins (RSS Post Importer; WP RSS Aggregator) behave. I’ve never heard of any discussion beyond Feed WordPress. But I haven’t tried, either. Inoreader has a simple way to produce RSS feeds, which Feedly lacks (I use a combination of Feedly + Zapier to obtain a similar effect.) But I don’t want to recommend it for student use, since it wouldn’t be free.